This recipe combines two of my absolute favorite things – popcorn and chocolate fudge. 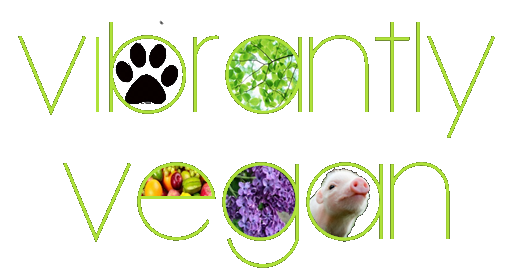 When I think of these delicious snacks and especially when I combine them together, I think, while smiling, that vegans really don’t miss out on all that much! As for the first part of the recipe – the popcorn – I have to give you the most amazing recipe for incredibly perfect popcorn that is so simple it will blow your mind. Never again will you buy microwave popcorn (certainly don’t need those carcinogens) or buy a bag at the store. I can’t believe I didn’t know about this method years ago. For those of you who know about it – I am impressed. For most of you who probably do not – please read on and try it immediately. You will not believe that something so wholesome, so good and so easy has been kept secret for so long – I promise! As for the fudge, well, that was simple too. While most fudge recipes require condensed milk, it is certainly not a necessary ingredient. 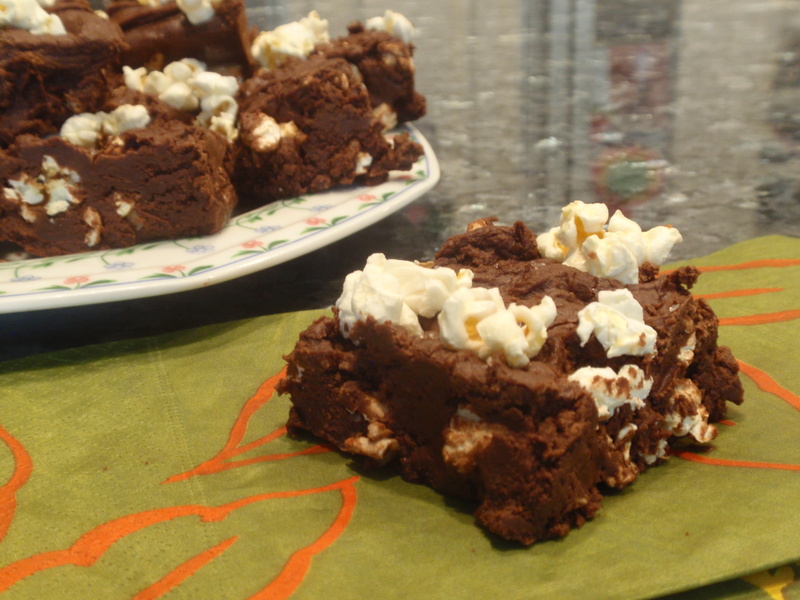 The fudge in this recipe is, just like the popcorn, easy and delicious. If you don’t want to use popcorn, top it with shredded coconut, or perhaps crushed peanuts, or maybe even vegan marshmallows. The sky’s the limit. So here goes – two for the price of one. I hope you enjoy both, either individually or together! if making the popcorn and not putting it in the fudge, try other toppings like garlic powder, nutritional yeast, truffle oil, vegan parmesan cheese and anything else you can think of. 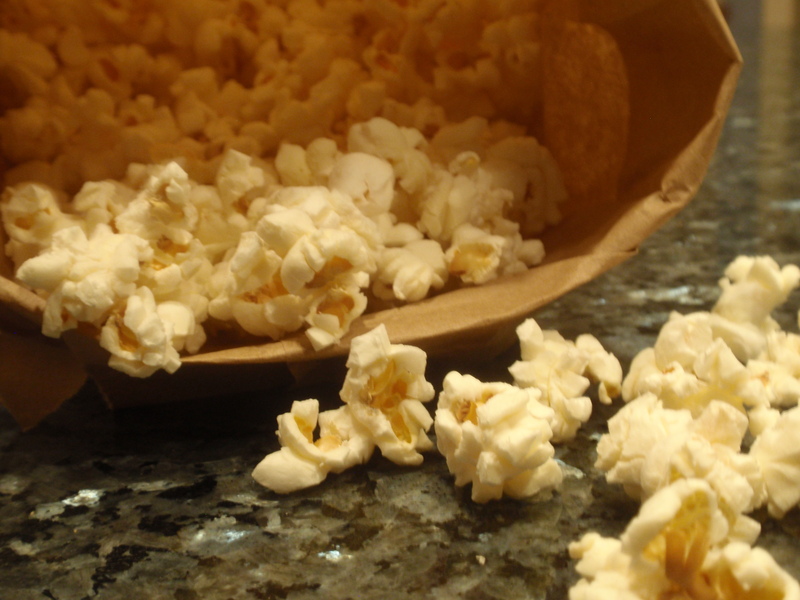 Place the kernels in the bag and fold the top edge over a few times to seal. Place in the microwave folded side down and cook 1 minute 45 seconds. Add toppings and enjoy! In a medium size bowl, combine the chocolate chips, sugar, cocoa and 1/4 t salt. In a small saucepan, melt the earth balance over medium heat. Add the coconut milk and cook until just starts to bubble. Pour over the chocolate chip mixture. Let sit for a minute, then stir until all melted and well combined. Stir in vanilla. Fold in popcorn and quickly pour into a lightly greased 8×8” pan. Smooth out the top with a spatula. Sprinkle the sea salt on top and press a few pieces of popcorn on top if desired. Cool in fridge for half an hour before serving. Cut into 32 small squares.